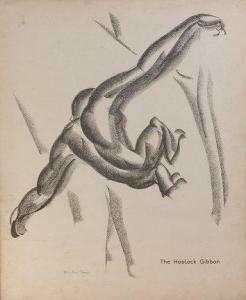 Find artworks, auction results, sale prices and pictures of Stanislaus Brien at auctions worldwide. 176 G. STANISLAUS BRIEN (DATES UNKNOWN) EAST COAST BY L•N•E•R. 1932. 39 1/2x49 1/2 inches, 100 1/4x125 3/4 cm. Haycock Press, London. Condition B+: repaired tears, creases, abrasions and staining in margins, some affecting image; replaced losses in upper corners; creases in image and along vertical and horizontal folds; separating from linen at left edge. 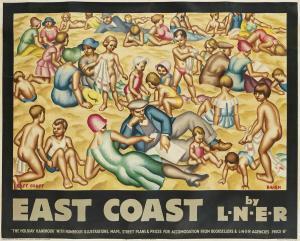 Polish-born G. Stanislaus Brien was a linocut artist who designed posters for Shell, the London Underground and the LNER. 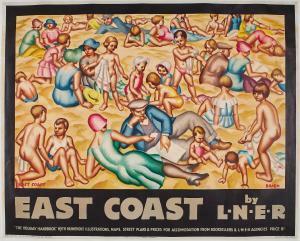 This is one of two crowded beach scene images he designed for the railroad. Voyage p. 86, Furness vol. 4, p. 192, Commercial Art, May 1, 1932, p. 91. 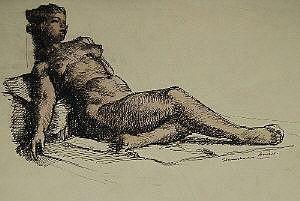 19 x 25cm (7 1/2 x 9 13/16in). Stanislaus Brien was born in Poland and designed posters for London Transport in the 1930s, towards the end of his life he lived in Bury St Edmunds. 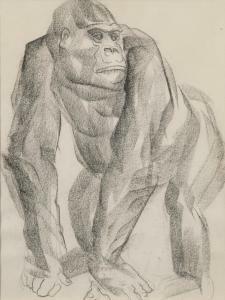 These appear to be sketches associated with his 1935 lithographic poster for The London Underground advertising London Zoo.